When my second son was 5 he climbed on the bottom drawer of my daughter's dresser to reach her stuffed animal cat. While he was reaching he pulled on the front of the dresser to get higher. You know what's coming, he pulled the dresser forward causing her small t.v. to land on his head! His little friggen' head! I screamed, I cried, I grabbed him so fast and headed for the emergency room. Luckily for both of us he was fine just a minor scrap but I will NEVER forget that day, ever. It was so scary my heart felt as if it dropped from my chest. Since then I have tried to be extra careful, however, it is not always possible with little ones, or not so little ones either. This is why I am so pleased to be offering this safety giveaway and information. For my grandchildren and your children - grandchildren as well. For many Americans, a flat panel TV is a great way to enjoy family time and entertainment. However, most parents are unaware of the safety risks that flat panel TVs pose for kids. Due to increasing size and new ultra thin designs, today’s flat panel TVs can easily tip over when bumped or pulled, toppling off of furniture and causing injury or even death. Easy 1, 2, 3 installation with a wall template to ensure even placement Online video walkthrough of simple installation available at any time No additional tools necessary – all required installation hardware is included in package Live customer support available 6 days a week. There has been a change in the ending date! This ends at 11:59 July 25th. Must be 18, US only, sorry friends! 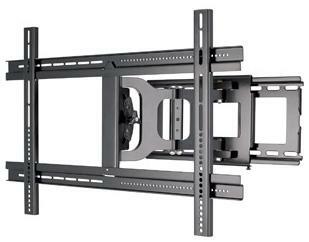 Winner MUST return winning email within 48 hours with the size of their TV and Preference of Tilting, Full Motion or Fix Position mount? Disclosure: Mom To Grandma has not been compensated for this post. Fb nor any other social networking site has any part in this giveaway. I read it in the email newsletter. I found it from a friend who entered! Krystal! I found this giveaway on this linky (http://change-diapers.com/2013/07/cloth-diaper-giveaways-roundup-for-71913-plus-linky-for-all-giveaways/).